The Summer Youth Earn & Learn Employment Program links young adults and youth to summer employment and pays participants for 20 hours weekly at minimum wage for up to seven weeks. The program usually begins during the first week of July. Federal guidelines and an eligibility requirement are required to be met before a youth can be enrolled in the program. The summer jobs youth receive is typically their first meaningful, paid work experience. Youth accepted into the program complete work-readiness workshops to ensure they know what is expected in professional work environments. During their summer employment, they learn on-the-job skills under the supervision of their work sites. Whether in a law office, hospital, manufacturing plant, small business, government agency, or non-profit, their work often helps employers tackle projects that would not otherwise be completed. 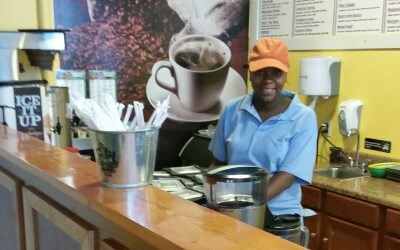 A number of the older youth receive job offers for full-time year-round employment. This is a key indicator that their employers were pleased with the experience.